Tag: Animals | Page 2 | Hujambo! I posted back in April how the rains had come, and that I expected to get a lot of new friends in the house because of it. Well the rains have been scarce, but I think that post served as an invitation of sorts, because I’ve had some creepy crawlies. I saw this guy a few nights ago in the kitchen as I was cooking dinner. 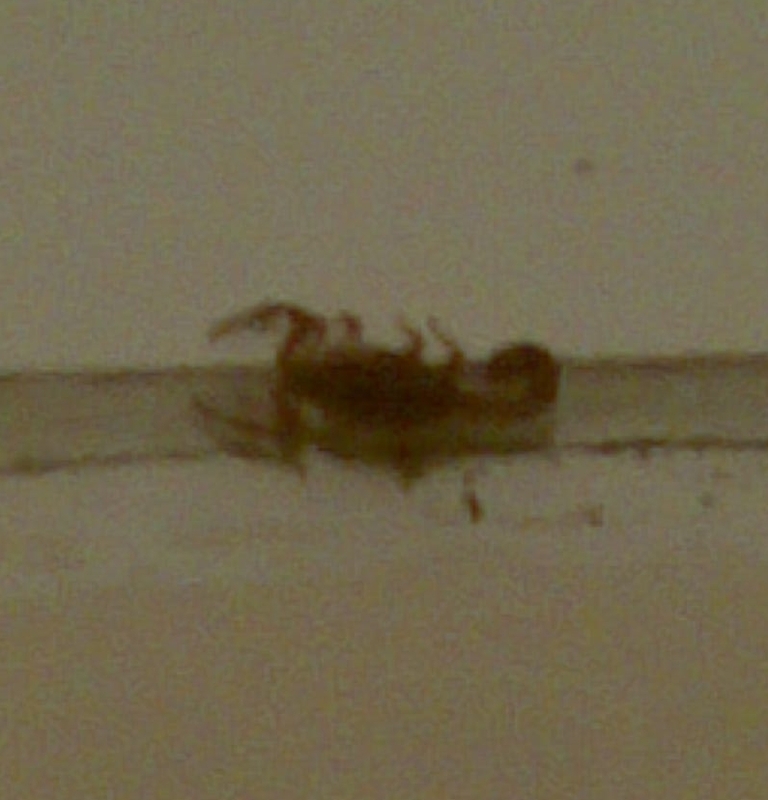 The scary thing to me is that it was on the ceiling; the five or so scorpions I’ve seen previously were all chillin’ on the floor. Of the ~1500 scorpion species, the vast majority are only capable of producing a local reaction similar in scope and effect to a bee sting. Only around 50 species are known to produce venom that causes serious systemic effects in humans. Of these 50 species, only half (mostly in the family Buthidae) produce enough venom to pose a lethal risk to humans. Ugh! This morning I was rudely awakened by a big, stupid bird making a racket on my roof. I looked around the web and apparently it’s a Pied Crow, by the way. I have a roof made of aluminum and these stupid birds love to party up there. They are neither beautiful to look at nor lovely to listen to. They are only annoying as hell. I don’t know what kind of dance moves he was working on this morning, but I was just trying to catch some last Zs before work and the noise was so loud. I jumped out of bed yelling all sorts of bad words, rushing to see if I could catch a peek at what was going on. Unfortunately, by the time I opened the door he had heard me and flown away. This is not the first time. They even go collecting things from my compost pit and take them up there to hang out and eat a nice meal. One time I heard something rolling down the roof, so I ran outside just in time to see an egg shell hit the ground (a chicken egg shell I had thrown, not like “awww, poor baby crow never had a chance…”). What the hell? Anyways, other favorite moves of theirs are dive bombs; they just get a lot of speed and land on the roof with everything they’ve got. Whaaaaam! Ahhh!! And it always happens at the worst time (like when you just want FIVE more minutes of sleep).